Everyone knows about the tyrannosaurus rex’s insatiable appetite for meaty munchies, but did you know they were the first epic fans of fluffy, blue cotton candy? 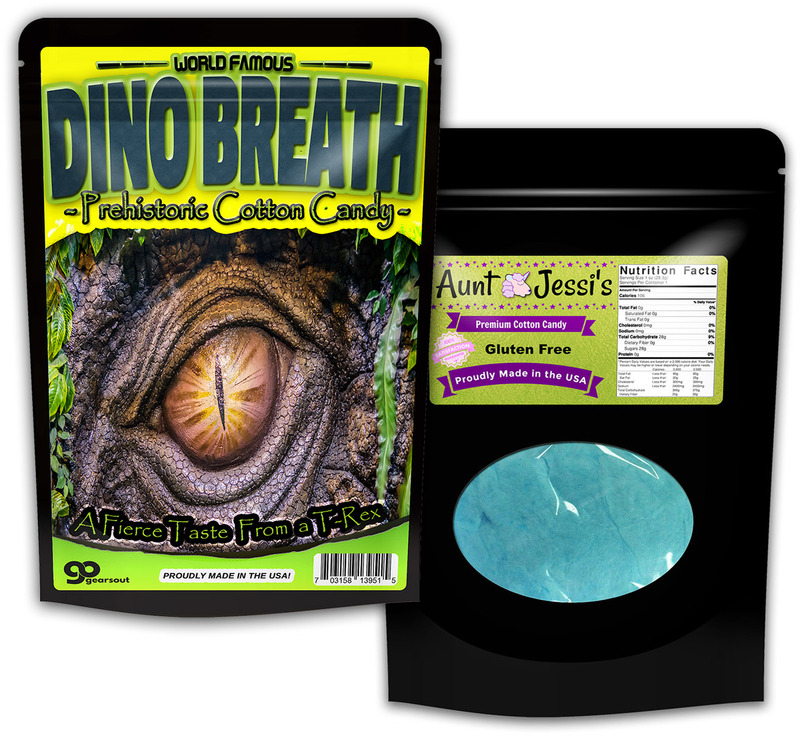 Embrace your inner candy-vore and chomp down on a tasty helping of Dino Breath Cotton Candy! 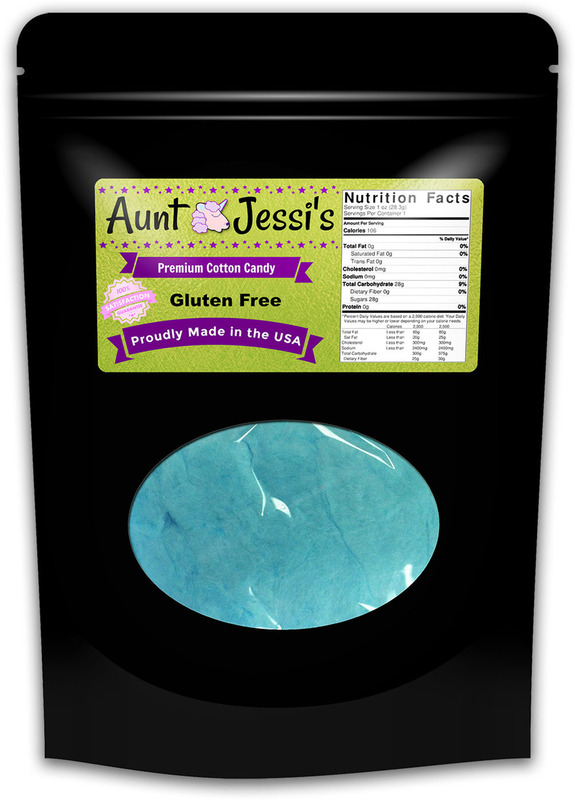 Our sugary, gluten-free, t-rex cotton candy formula delivers ferocious flavor and roars of laughter – all in one fierce package! 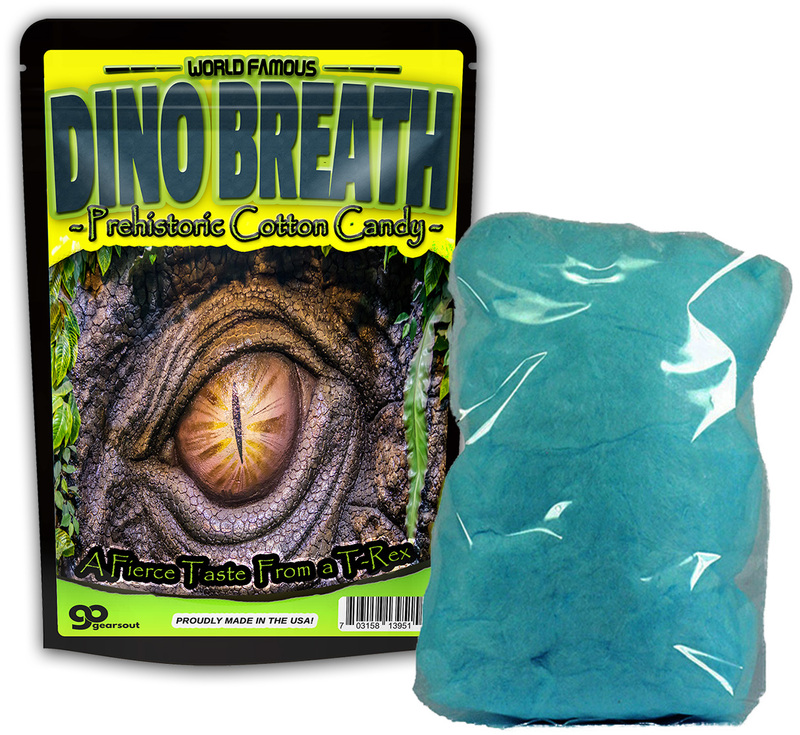 Dino Breath Cotton Candy is a puffy, blue treat that breathes larger-than-life fun into gift-giving. Dino Breath Cotton Candy is a unique gift for dinosaur fans of all ages. 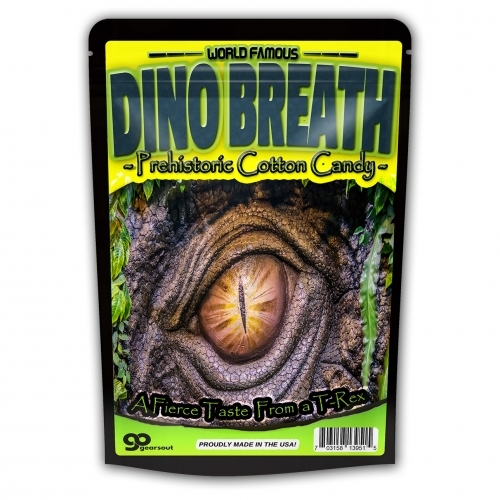 This wild gag gift is perfect for any candy lover on your gift list, no matter what you’re celebrating. Add a bag to holiday care packages and birthday gift baskets. Slip some in as a funny stocking stuffer or wrap it up for a memorable white elephant or Secret Santa gift.